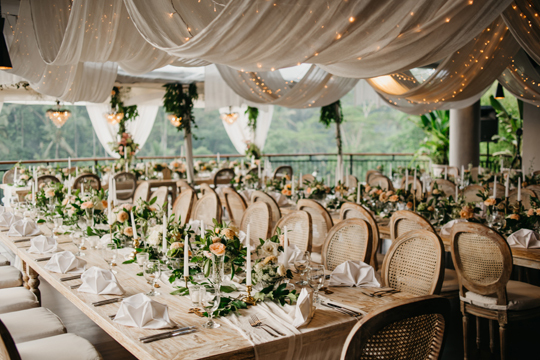 An intimate retreat set off the beaten track in Payangan, north of Ubud, Samsara Ubud is a beautiful boutique resort and one committed to creating extraordinary and intimate wedding experiences for up to 60 guests. 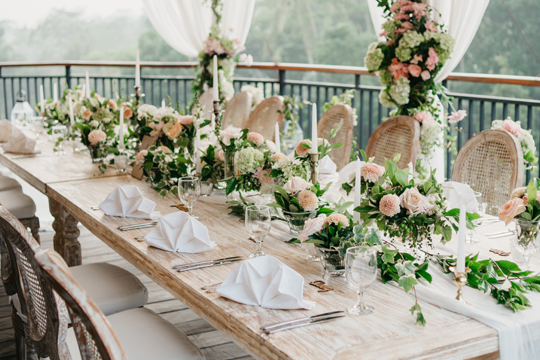 So, be it a renewal of vows to celebrate and rejoice in the many years of shared love, or the big day itself, make the most of Samsara Ubud’s secluded location, exceptional service and design. The resort’s wedding facilities, along with the bespoke wedding and honeymoon packages, have been designed to create memorable occasions. Couples can choose to celebrate their wedding in one of the delightful open spaces or at Samsara Ubud’s gravity-defying infinity pool set against the beautiful backdrop of the Payangan rainforest, where a transparent walkway is set in the middle of the pool to create the illusion of walking on water. 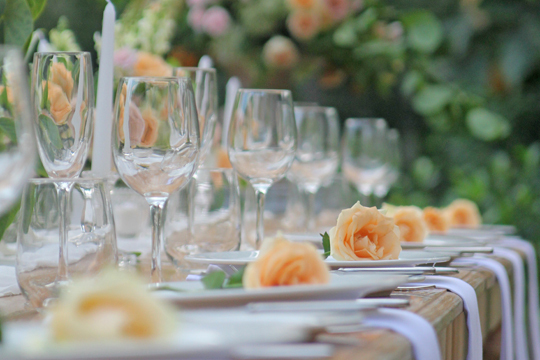 Samsara Ubud’s culinary team will customize the food and beverage menu and can cater bespoke cocktail receptions and stand-up buffets to be enjoyed in the outdoor garden setting, on the terrace, or underneath the indoor yoga area. In addition, a legal marriage ceremony can be arranged with document preparation and support from the friendly and knowledgably experienced wedding specialists.